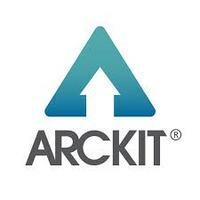 Arckit are a team of architects, toy designers and model enthusiasts from Dublin and London. When Damien Murtagh figured it would be valuable to have physical models available without needing to rely on traditional cut-and-glue models, he decided to invent one. Their creative team creates freeform architectural modelling systems, such as the Arckit GO Plus. Whether you are an architect student, budding enthusiast, or professional, with these, you can easily present architectural designs to clients in a practical, inexpensive and time-efficient way.